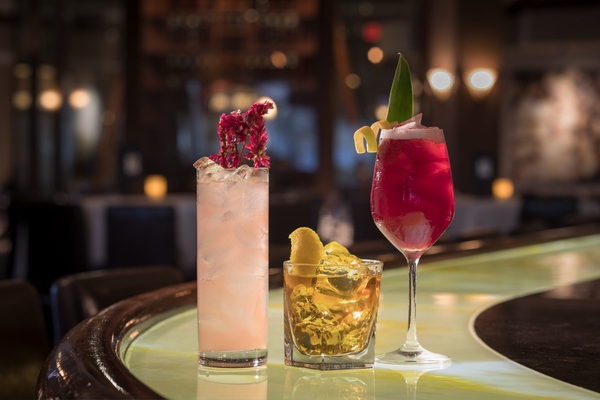 OAK BROOK, IL, December 30, 2017 /24-7PressRelease/ — Perry’s Steakhouse & Grille (5 Oakbrook Court, Oak Brook, IL 60523; 630-571-1808) is introducing three new craft cocktails that pair perfectly with the restaurant’s bar bites. As a nod to the restaurant’s terrific wine list, two of the cocktails will be wine-based. All new cocktails are $15 each and will be available starting January 15. The PassionNut for Port mixes Fonseca Bin27 Port with DonQ Coconut Rum, Passion Fruit puree and fresh pressed lemon juice, giving Chicagoans a tropical escape without leaving Oak Brook. Additionally, the cocktail’s vibrant color, romantic name and a dessert wine base makes it a sweet treat for Valentine’s Day celebrations. Pair with the Beef & Bleu ($13.95) for a mouthwatering balance of sweet and savory. For a light and refreshing beverage, Rose Collins delivers. The second wine-based cocktail mixes Botanist Gin with Rose wine and fresh lemon juice. Perry’s suggests enjoying the Rose Collins alongside its Bacon Wrapped Scallops ($19.95). The third new cocktail is the Jameson Mocha Old Fashioned. A fun take on a classic, this cocktail mixes Jameson Caskmates Irish Whiskey with house made coffee syrup and mole bitters. Ideal for warming up and waking up, it pairs perfectly with Perry’s Homemade Polish Sausage for a cozy snack reminiscent of the restaurant’s butcher shop days. Perry’s Steakhouse & Grille has earned a faithful following by perfecting prime since 1979. Beginning as a small butcher shop, Perry’s has grown into a renowned group of award-winning restaurants featuring USDA Prime beef, tableside carvings, signature selections, flaming desserts and handcrafted cocktails at its Bar 79. Specializing in a Rare and Well Done experience, Perry’s currently operates 13 steakhouse locations in Chicago, Birmingham, Denver, and across Texas, as well as the two original butcher shops now known as Perry & Sons Market & Grille. A new Perry’s Steakhouse will be opening in Grapevine, Texas in February 2018. For more information and updates on Perry’s Steakhouse, please visit www.PerrysSteakhouse.com.